Why Avatar's Box Office Record can not be Broken in Near Future? Why Avatar’s Box Office Record can not be Broken in Near Future? Avatar, James Cameron’s Magnum Opus released in 2009 and created a ruckus at the box office. The film took one of the biggest box office openings in the US, and as the word of mouth spread, the film became a mega event. Avatar created benchmarks which are still standing strong in 2018. Avatar grossed $2.78 Billion Worldwide at the Box Office, which consists of $750 Million alone from the United States. Next Year, Avatar completes 10 Years since its release. And we are going to look at some movies which came close to breaking its mammoth record at the box office. Before its release, Avatar had very limited pre-release buzz outside the USA. Even in the United States, the only thing which was going in favor of this film was the fact that it was coming from James Cameron. James Cameron had taken a break of almost 12 years after he gave the world Titanic. When people heard, he is coming back with Avatar – A Sci-Fi Fantasy film, deciding to watch the movie or not was an easy decision. The film’s review copy was distributed to various critics worldwide, and the response was better than positive. News started spreading that Avatar was the best Sci-Fi film ever made. Naturally, when the time of the release came close – theatres were sold out, ticket queues were longer than ever. 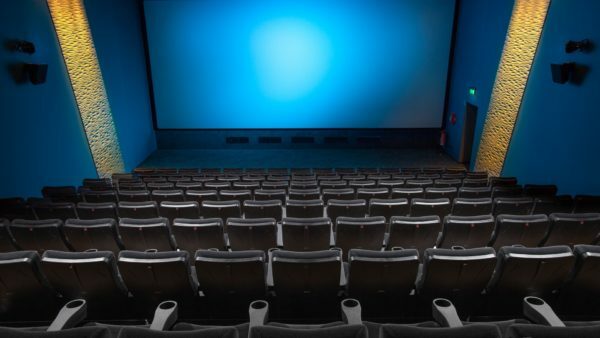 All this Buzz helped Avatar rake up $77 Million in its opening weekend, which kept on growing for next 3 Months and helped the film reach $2 Billion plus. Avatar was later released one more time with enhanced graphics and previously unseen clips. Also the film, released in many more international markets which helped the film reached a large total of $2.7 Billion. 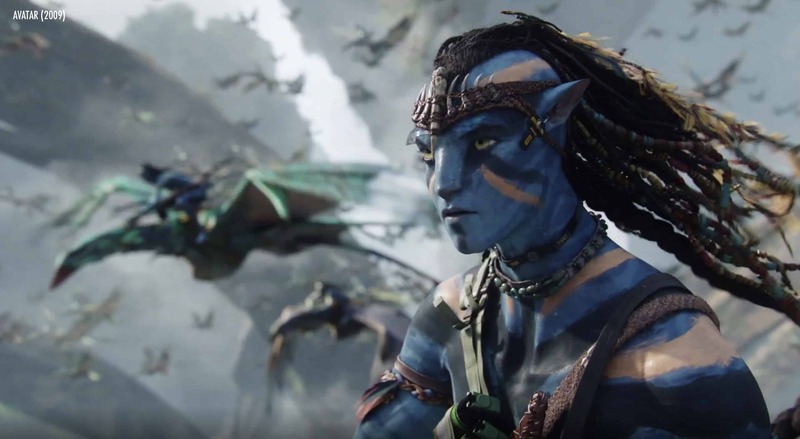 Avatar’s $77 Million opening weekend is something mediocre Hollywood films can surpass. More than 80 Films till now have opened with $80 Million plus weekends. But when Avatar got a $77 Million, that year the 2nd best weekend was The Princess and the Frog, which collected $12 Million. In the last few years, there were a lot of films which people expected would break Avatar’s records. Many came close, but Avatar still stands tall. Star Wars: The Force Awakens came close with $2.08 Billion but still fell short by a massive margin of $700 million. Star Wars had everything to make it go past the 2.7 Billion mark. But what Avatar collected worldwide is no joke, and people who believed Star wars would go past 2.7 Billion understood that later. Fun Fact: After Avatar, the 2nd Highest Worldwide Grosser is Titanic, also directed by James Cameron. Why this record won’t be broken for a while? One thing is undeniable. For this record to be broken, the film needs to be a global phenomenon. The record cannot be broken only on the basis of US Collections. And right now, the only upcoming movie with fans waiting worldwide is Avengers: Infinity War. From my years of experience in analyzing box office collection of movies, it seems almost impossible for Avengers: Infinity War to surpass the $2.7 Billion mark. Marvel spent a lot of time, money on marketing and promoting the first Avengers movie which released in 2012. The film was built up through successful prequel movies like Iron Man, Captain America & Thor. This definitely helped the film, but apparently not enough. Marvel’s The Avengers collected $1.5 Billion at the Box Office internationally, which was the highest of that year and established Marvel as a major player at the box office. Since then, almost 15 more Marvel Superhero films have released, and none of them has been able to cross the collections of Avengers. Including Avengers: The Age of Ultron which passed $1.4 Billion worldwide. What Makes Infinity War Special? Absolutely nothing. Infinity War is just another Marvel movie with superheroes battling a villain which looks unbeatable at first. The film will be awesome, no doubt. It will be highly entertaining too. But will it be a Box Office Giant? Yes, it will be. But will it cross Avatar? Hell No. Based on historical data of how finales of Superhero movies perform at the box office, Marvel’s Infinity War will end up near $1.5 Billion at the box office, which is almost close to what the first Avengers earned. The record set by Avatar in 2009 is so tremendous that not even Avatar 2 is a probable candidate to surpass that mark. Secondly, if we consider inflation rates than $2.7 Billion in 2009 evaluates to approx $3.6 Billion in 2018, which makes the record all the more difficult. I am very confident that the record will not be broken in at least the next five years. Do you agree or disagree with me? Let me know in the Comments! Definitely no. Avengers Infinity Wars will never cross the 3 billion mark for sure. 1. Avatar was a standalone film unlike Infinity Wars, which is a sequel and linked to all previous MCU films. Also, Infinity Wars Part 1 is never going to be the ultimate MCU film as it is only the start of Thanos story. Further, Infinity Wars is broken down into 2 films – so it’s not a single and complete finale or story to drive all the audiences to theatres. 2. Avatar offered a new technique on board and it was the first ever mainstream 3D film ever. It had the novelty to pull the audiences to theatres. Movies then enjoyed longer stays in theatres and in Avatar case it was months. To make that much money Avengers need to stay long, remember the follow-ups to Infinity Wars this summer – Hans Solo (again a Disney film) is releasing too in a few weeks in May, later followed by Jurassic World (Universal), Incredibles 2 (also a Disney/Pixar film) and Deadpool 2 (20th Century Fox). Remember they are called summer blockbusters for a reason. It’s all a number game and all are billion dollar films for sure. Marvel debuts every 3-4 months at the theatres with all that CGI extravaganza. 3. In the Indian market, you have Robot 2.0 also releasing around the same time. 4. The times back then were different and now it’s different. Now you have so many channels of entertainment, Avatar was the case of repeated viewings, not a single watch. 5. No superhero film has ever crossed 2 billion dollars while The Avengers being the highest. Do you think Infinity Wars can double that number? 6. James Cameron followed up his grand vision for Avatar by Titanic (which was another 2 billion dollar spectacle). Titanic and Avatar keep re-releasing and still, the audience makes their way to the theatres. But superhero films have not garnered that 2nd watch experience. Also, Steven Spielberg recently bashed the recent superhero films and the studios who have created brand but not intelligent and good cinema. 7. James Cameron is a favorite among the old public and found love from the new generation for giving us Leonardo Di Caprio in Titanic and also a new technology in 2009 which everyone savored very nicely. 8. Food for thought for people here – Avatar was against humans and not about saving Earth but Pandora, so how can there be a pop culture kind of popularity. It showed us more about nature which people like as landscape and 3D visual effects experience. It’s sad that people did not message home. Avatar was the new unexplored horizon and the base for any CGI movie thereafter. Avatar was extraordinary in terms of vision but not so great in storytelling. To further add, For any movie to cross what Avatar did there has to be a story and technology that appeal to all sections of the audience on a global level. Given that James Cameron has been the first 2 highest grosses to his name, there has to be some logic to it. With Avatar 2 he can definitely go beyond the horizon which also releases in December 2020. 2. Lesser films, less competition unlike May and June being summer blockbusters. 3. 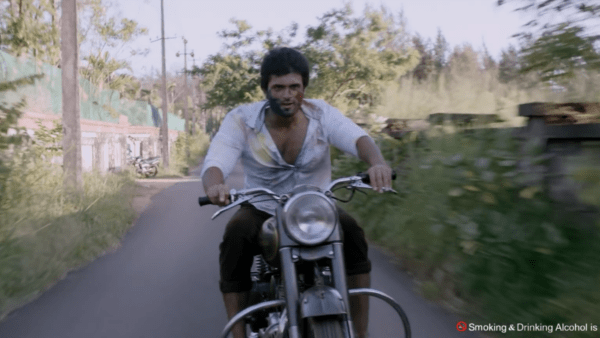 Then there are various award season films which come to theatres which are restricted in terms of audience. 4. Follow up of movies in January and February is less due to non-holiday season and mostly crappy films looking to make quick bucks. P.S. I am a fan of MCU and I closely follow the same but for sure, Infinity Wars will not cross the 3 billion dollar mark. Rohit Tripathi is the Founder of BOTY Movies and Media. He established the Website bestoftheyear.in in 2015 with the goal of providing accurate box office collection of Indian movies. He is also WordPress Developer by profession and enjoys watching Hollywood and Bollywood movies in free time. Also, a big fan of Game of Thrones. First 2.7 in 2009 is not 3.6 in 2018 is more or less 3.2. You can easily get this info online. Second this film will do close to 1 billion the first week out. It will do a lot more than 1.5. Lastly if it has legs it could easily beat Star Wars for 3rd highest of all time. 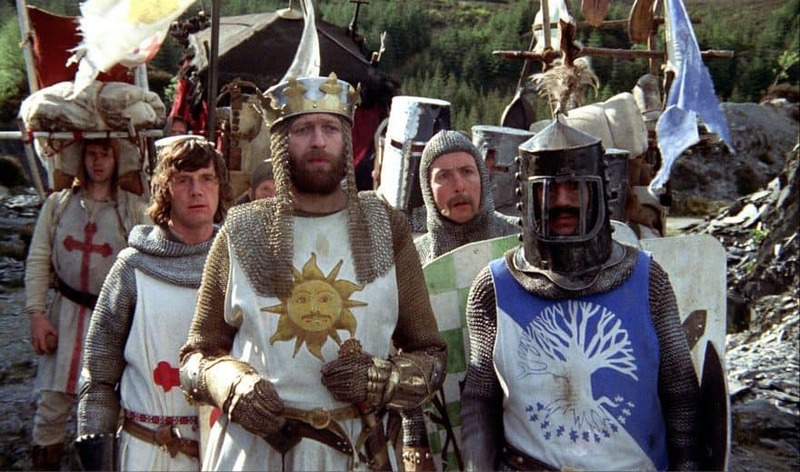 Let’s Talk About The Monty Python Legacy!